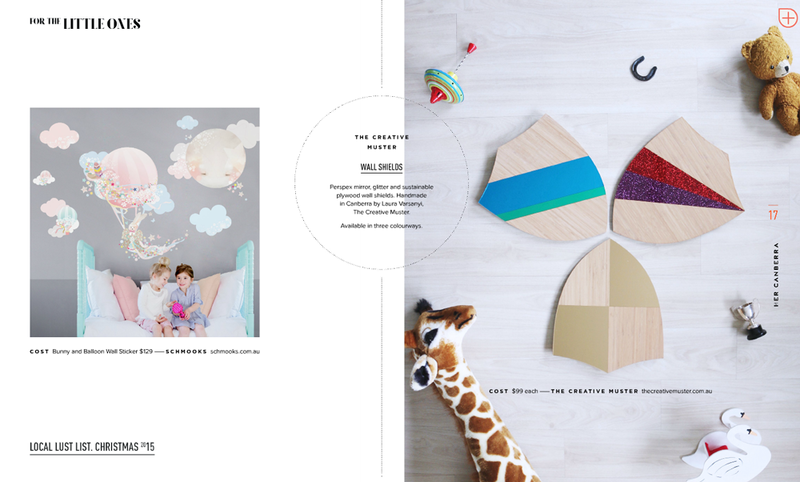 The HerCanberra Local Lust List 2015 is out and you can find my wall shields on page 17! You can shop them online or head to Tip You're It! to see in them in person. Remember, all my decor pieces are limited in number, so if you love it, buy it. Check out the HerCanberra Local Lust List 2015 via Issuu for more gift ideas.